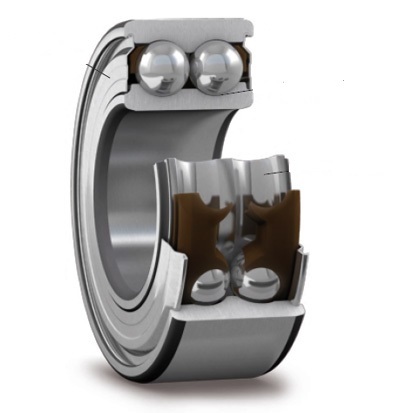 Angular Contact Bearings are designed for High Speed, High Precision applications and support thrust loads or combinations of radial and thrust loading. They cannot accept radial loads alone. 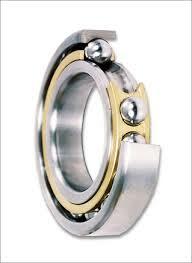 A single angular contact bearing can be loaded in one thrust direction only. Self Retaining units with solid inner and outer rings. Cage assemblies made of Polyamide, Sheet Steel or Brass. Can be used as pairs - back to back (DB), face to face (DF) for supporting thrust loads in both directions, or in tandem (DT) for additional capacity.